Want to know the secret??? 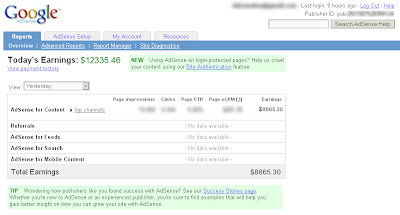 Visit Google AdSense Generator and enter the amount you want to make with AdSense, then you will get a AdSense screenshot with your desire earning. That’s it! lol! i was about to believe and was really in awe reading your post title alone! that's so cute.. hehe.. i wish that's how easy to earn in google adsense!